Posting late today. Getting ready to play trains as it is that time of year again! It's been so dry this spring that my Tulips aren't as abundant as they were last year. Not as many came up and bloomed of the various colors. This is an image of a color that did not come up this year. I shot this last spring at a bit of a different angle. 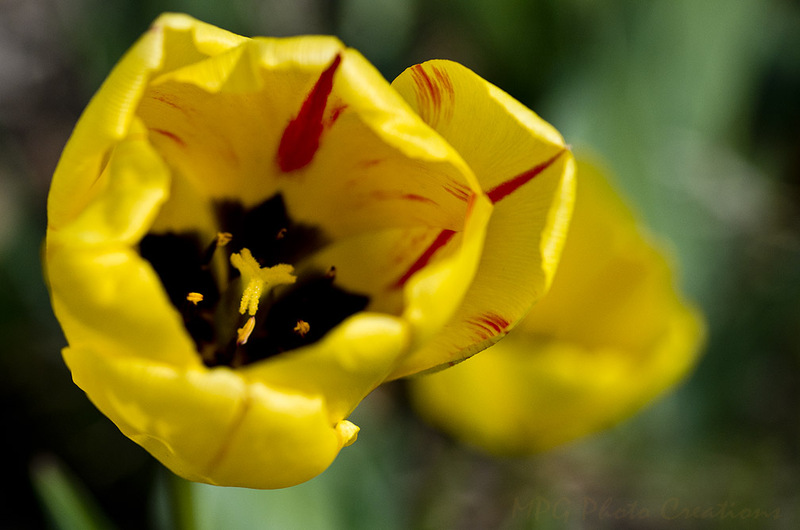 I love the colors of this tulip. I was happy when the arrangement my sis-in-law got me during this past winter had tulips of this color.